– Efrain, undocumented Latino immigrant and former member of a high school youth organizing group. *Note: Pseudonyms are used to maintain study participants’ confidentiality. UC Santa Cruz Professor and PERE affiliated researcher, Veronica Terriquez, recently published an article,“Legal Status, Civic Organizations, and Political Participation among Latino Young Adults,” in The Sociological Quarterly. The article highlights the importance of grassroots youth organizing groups in building the civic leadership of young people from less privileged backgrounds. Youth organizing groups are 501(c)3 civic associations that engage young people in understanding and addressing policy changes that impact their communities. Undocumented Latino youth in California tend to come from very low-income backgrounds and sometimes encounter social exclusion, as well as a broad range of other challenges because of their precarious legal status. Her study focused on their experiences and tries to make sense of how some young undocumented immigrants acquired the civic capacity to transform a grassroots immigrant youth movement to one that garnered national attention. Terriquez analyzed survey and interview data she and her research team collected in 2011-2012. The data come from a representative sample of young adult Latinos as well as from young Latinos who were involved in the immigrant rights movement, often referred to as DREAMers at the time. The survey results demonstrate that DREAMers disproportionately learned how to become civically engaged in high school. For example, she found that while only 5% of Latinos in the general population of California belonged to youth organizing or other activist groups while in high school, 26% of DREAMers did so. 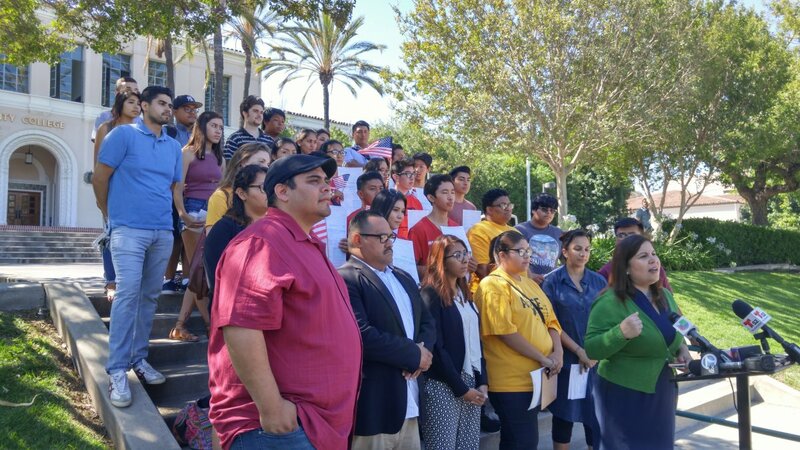 According to follow-up interviews with survey participants, high school youth organizing groups often serve as a stepping stone to their involvement in the immigrant rights movement by preparing undocumented youth to “become political.” Not only did they gain basic civic skills,such as speaking in public or learning how to run meetings, their high school experience served as training grounds on how to analyze social policies, mobilize peers, work with elected officials, and demand change. I sent out text messages and emails to make sure people called their representatives about the Federal DREAM Act… . I was involved in the National Coming Out of the Shadows action, went to meetings to build connections with the labor movement, helped with press conferences—all of that. And I was involved in the civil disobedience here at Senator Feinstein’s office. Prior to being involved, I was really afraid of saying “I am undocumented.” But as you get involved in the movement, you start learning how it is you got there, why it is that you feel that way. Once you understand that, you can feel free from that burden and then you can just really say, “Yes, I am undocumented, but it’s not my fault.” Now I can say “I’m undocumented” in front of hundreds of people, and in front of national media, without feeling afraid or ashamed. While focused on undocumented youth, Terriquez’s research provides insights into the importance of youth organizing and other activist civic organizations in generating strong public leadership among young people from marginalized groups. When such young people are given the analytical tools to understand social problems in their communities, and also provided guidance on how to have a voice in policy debates, they can play an important role in holding government institutions accountable to the needs of their communities.